Even though it is October, it still feels like Summer here in Eastern Ky. I am more than ready for Fall weather and for Fall Fashion. With it being October, I couldn't wait any longer to start wearing some of my favorite fashion pieces. 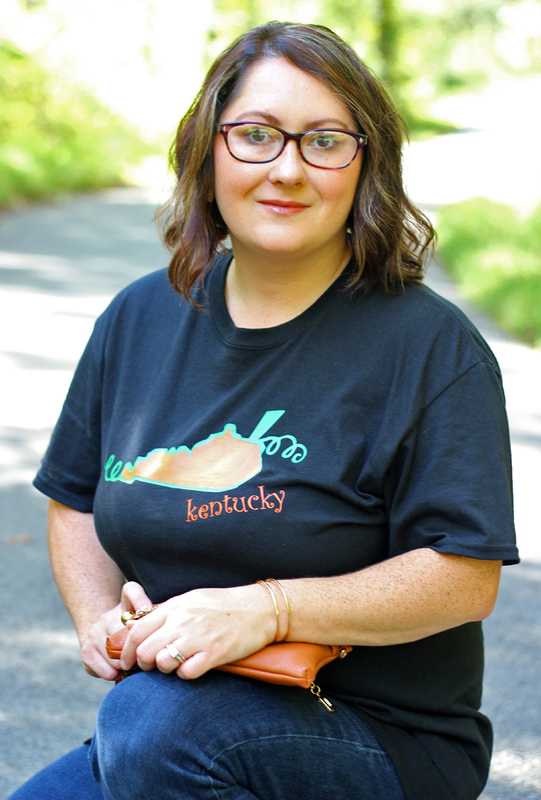 My friend from church blessed me with this adorable Kentucky Pumpkin Tee for my birthday. It was such a fitting gift for me because of my love for all things Fall and Pumpkin Spice. 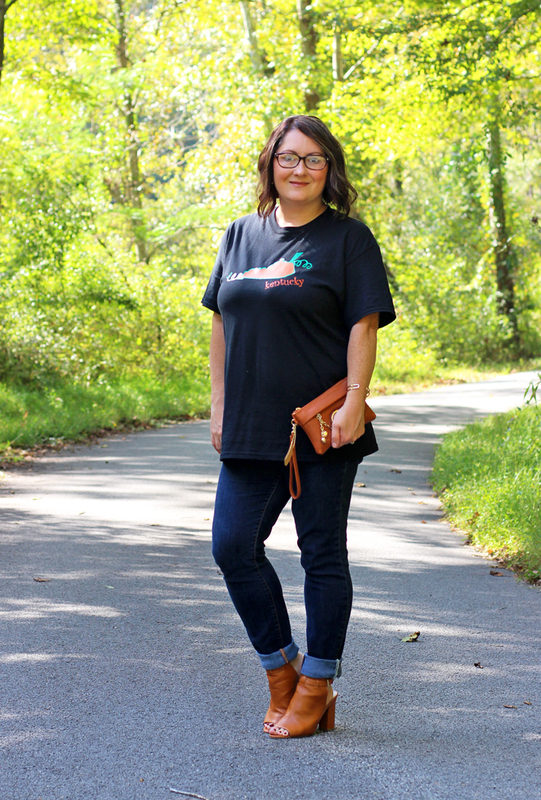 I paired this tee with dark jeans with hints of browns and golds for my accessories to give the outfit an even more Fallish look. 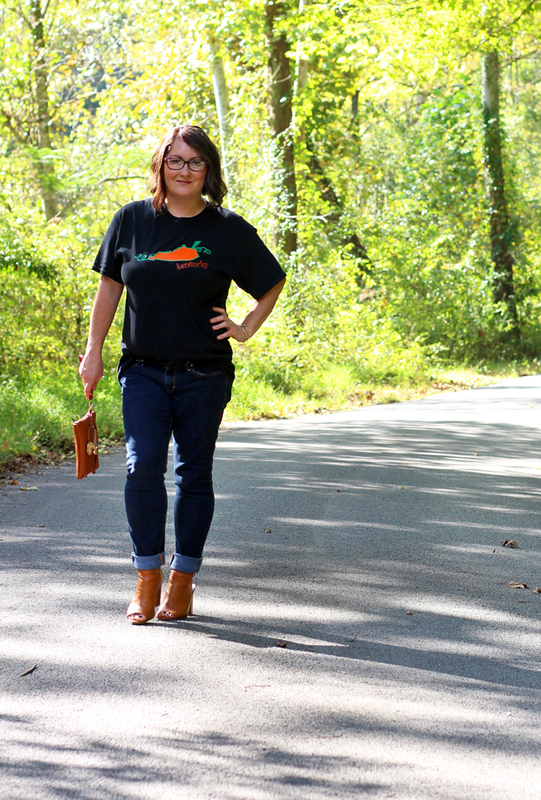 These hot Kentucky days can't ruin my Fall vibe. 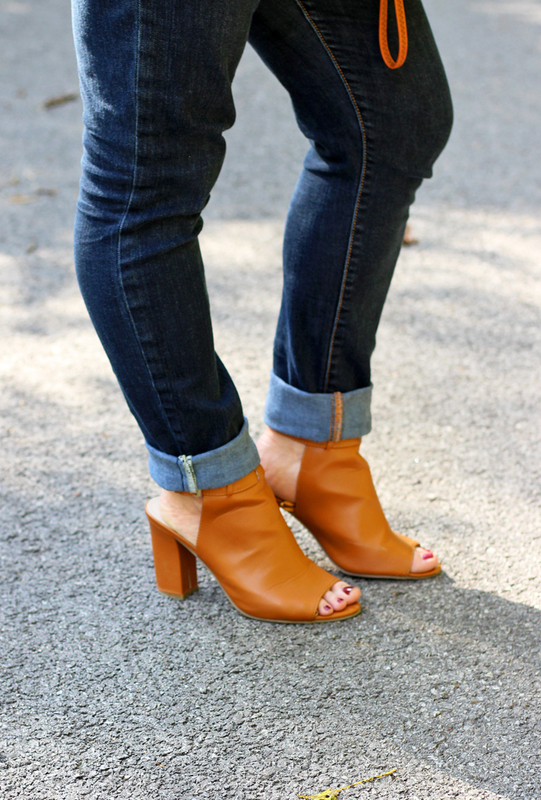 It may be too hot for actual boots but these peep toe booties are the perfect transition from Summer to Fall. 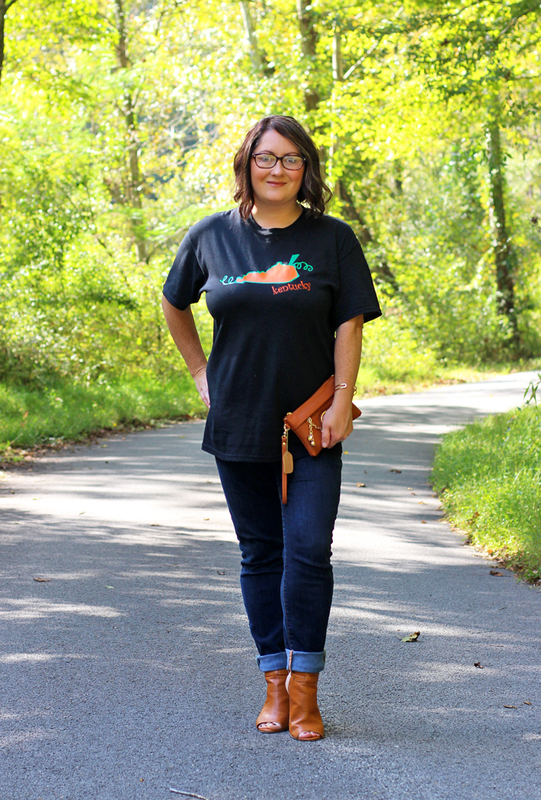 What Fall Fashion Trends are you loving this year? 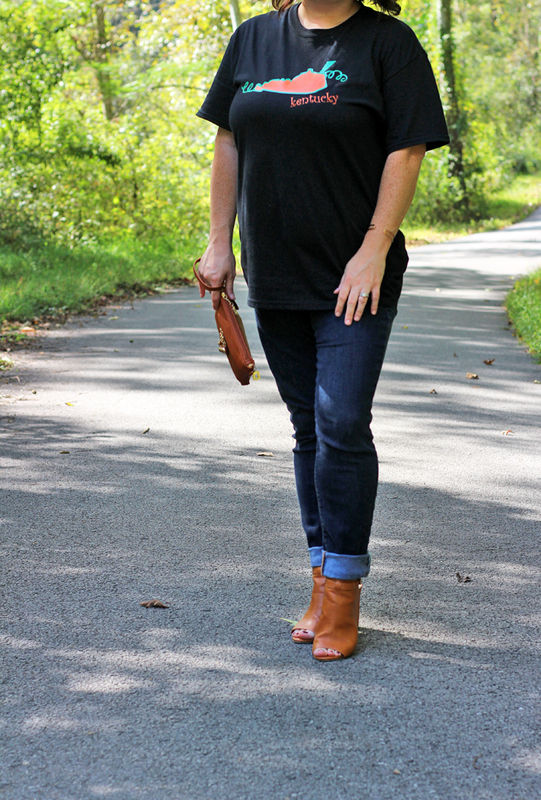 I'm loving dark jeans and lots of browns, burgundy and gold colors. Have you started on your Fall wardrobe yet?